EXCLUSIVE! 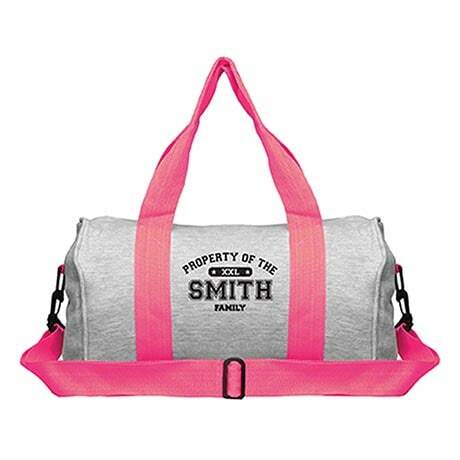 An innovative way to personalize your gym bag. 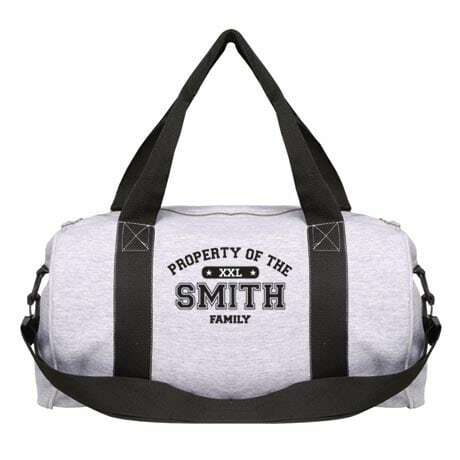 Forget tags, stickers, or patches and customize this bag with your last name or any phrase above the word "family." Feels just like your favorite sweatshirt! Personalized one side. 80% cotton/20% polyester. Printing in the USA. Machine wash. Heather gray color with either black, hot pink or electric orange web straps. Size: 17 1/2" x 11"